"Are All-Girls Engineering Classes Different?" Teachers at all-girls schools might have insights on how to engage more young people – especially girls – into engineering. Several teachers at The Ann Richards School for Young Women Leaders in Austin shared their thoughts in this two-part episode. 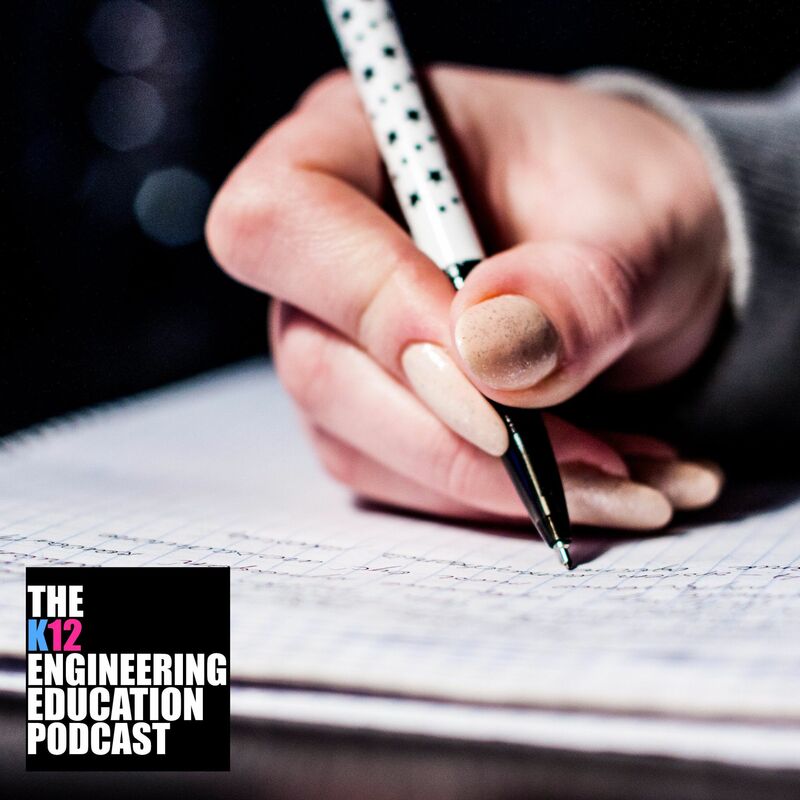 In Part 1 (01:15) we hear from Shamaa and Shireen, two high school engineering teachers, and then in Part 2 (28:50) we hear from Patience, Simon, and Kristina, three middle school engineering and STEM teachers. They discuss teaching in a small school, differences between all-girls classes and co-ed classes, the importance of school culture, Project Lead The Way curriculum, advice for parents, and more. How can you bridge the gap between teaching simpler visual programming tools and teaching more complicated textual programming tools? Julia Lamorelle’s answer is Python. Julia cofounded Kiwi Compute, a new education business that focuses on teaching middle school kids how to code in Python, a language widely used in academia and industry today. She talks about why Kiwi Compute has this education strategy and how it executes it, despite challenges in setting up a Python environment and attracting qualified teachers. student who also recently started Skype a Scientist, which is a free program to match scientists and engineers with K-12 classrooms. Sarah spoke with us about how the program helps more students get authentic interactions with STEM professionals. "Digital Pop Culture for STEM"
How do you use the power of digital pop culture today to engage kids in engineering? Guest engineer Nehemiah Mabry, Ph.D., talks about this and more. Nehemiah is a practicing engineer in North Carolina and founder of his business STEMedia. STEMedia creates digital content to promote science, technology, engineering, and math. the Austin, Texas, area so far. two short episodes of Engineering Word Of The Day, a podcast on the favorite, fascinating, or funny words and phrases used in various engineering disciplines..
What’s it like to engineer roadways and the physical infrastructure of society? Guest Jerel Rackley, P.E., explains. Jerel is a civil engineer with the design and consulting firm Atkins, and in his fourteen years of experience in the field, he has seen what it takes to succeed. Hear him talk about taking the Professional Engineer (P.E.) exam, working with clients, the importance of people skills, the future of advanced 3D modeling in civil engineering, and more. How do you make an engineer? Guest engineer Leyla Yilan shares her thoughts. Leyla is an electrical and computer engineer at chip-maker AMD, as well as a proud parent of two daughters. She tells her story of how she got into the field, explaining the importance of family and friends in pivoting her toward engineering. Then she talks about how she tries to expose her kids to different fields like she was. Also hear Leyla talk about equivalence checking, being a daughter of an immigrant, gendered toys, bringing your daughter to work, and more. Mechanical engineer and PhD student Sadhan Sathyaseelan cohosts with engineer-entrepreneur Pius Wong in today’s episode. We talk about Sadhan’s experience learning that engineering students want to be business leaders, and we brainstorm ideas for teaching entrepreneurship in schools. We also discuss our favorite entrepreneurs and learn about new trends to teach entrepreneurship as part of engineering in K-12. allows for so much creativity. How does China prepare students for careers in computer science and related fields, compared to the USA? Hear from a Chinese student of computer science and mathematics who is studying in Texas for his undergraduate degree. He talks about the notorious Chinese college entrance exams, similarities between math and computer science, perceptions of an American education and American companies among Chinese, and why he would have learned more programming at a younger age if he could have. "Inside a Startup After-School STEAM Program"
Founding an education business comes with challenges and rewards, far beyond the financials. Guest EJ Zain talks about this first-hand. EJ founded the startup Maker Kids Lab, LLC, in Austin, Texas. Her very new startup runs after-school programs for middle schoolers in science, technology, engineering, art, and math (STEAM). In her lessons, Zain and her team of helper-teachers guide students of different ages to work together on hands-on, creative projects. She discusses her motivations for starting Maker Kids Lab as a parent, her strategies for engaging kids, and her hopes for creating a business with a social impact. Some students struggle with trauma, mental health, mental disabilities, and negative peers and adults; and yet, with the right decisions and the right help, they still will become successful engineers. Hector is a computer engineer who has such a story. Although engineering and computers interested him early on, he faced several major obstacles on his path to getting an engineering degree. Hector talks about self-reflection, accommodations, and other supports that helped him overcome these obstacles. "Organizations to Build an Engineering Identity"
Dr. Renata Revelo talks about the importance of identity when educating and retaining engineers. Dr. Revelo is an electrical engineer, a professor, and a researcher in engineering education at the University of Illinois at Chicago. She’s studied Latina/Latino students who participated in the Society of Hispanic Professional Engineers (SHPE) during their education, and she found that the organization helped them better see themselves as engineers, without separating themselves from their own communities. As a follow-up to the previous episode of the podcast, this episode explores Dr. Revelo’s work with Hispanic students at the college level, while applying the ideas to all students. 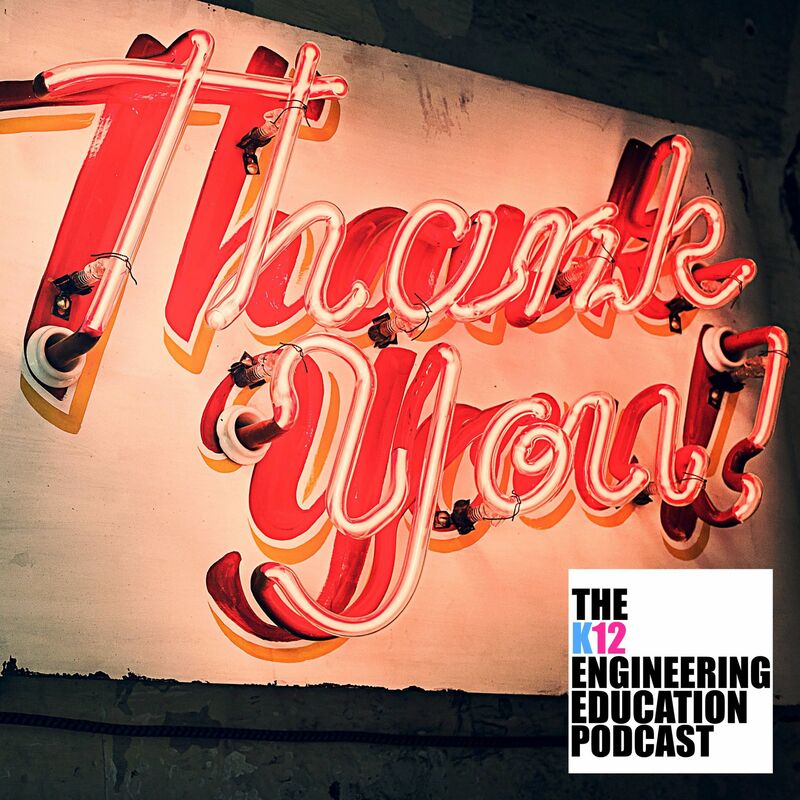 "Engaging Hispanic Students in Engineering"
Guest Dr. Alex Mejia says you should tap into students’ existing “funds of knowledge” to raise engineering students’ achievement. He’s done research on this pedagogical style with Latino and Latina students, as a professor of engineering in San Angelo State University and soon-to-be professor at the University of San Diego (starting in August 2017). What are the best movies and TV shows in entertainment for inspiring your thinking in engineering? Rachel, Sadhan, and Pius talk about their top suggestions, and they discuss how they affect perceptions of engineering. English teacher and author Roxanna Elden talks about her tips for new teachers, how to form your personal Board of Advisors as a teacher, how to teach writing in any classroom, and more, in this discussion. She draws on her research talking to many other new teachers, as well as her own experience, to share advice. What makes a good teacher for future engineers? In honor of National Teacher Appreciation Week, we ask five practicing engineers about their favorite teachers growing up. The engineers come from different disciplines, and they all share the best qualities of the teachers who made an impact on them.